Food: Sunday Brunch @ YLLW Coffee in Balham - Daisy Chains. 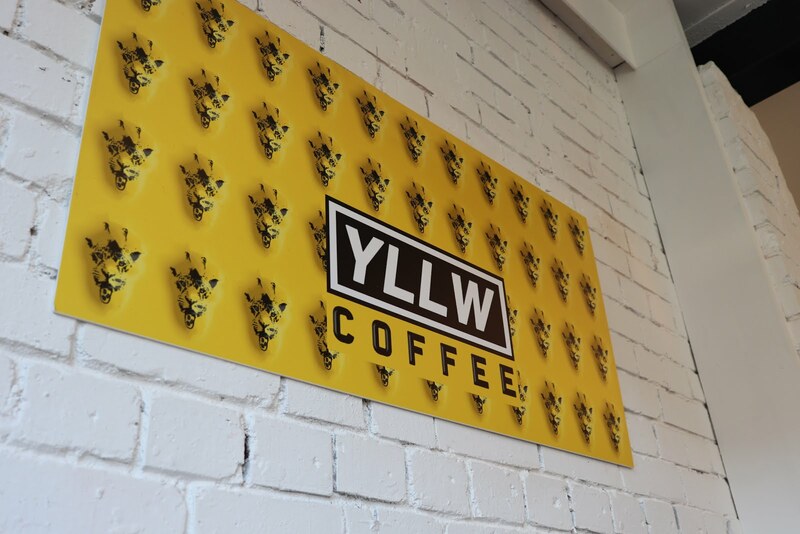 A few Sunday's ago I was invited down to YLLW Coffee in Balham for their Sunday Sesh event at their cafe. Tucked away on a quiet residential street a stone's throw away from the tube station the cafe sits under a spin studio. 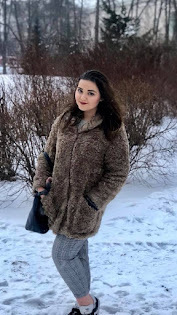 The staff are incredibly friendly and greet everyone without fail when any new patron arrives. Whilst waiting for our food, we ordered a coffee from minor figures and a smoothie containing Tiger nut milk, banana, peanut butter and açai. The wait for the food however was not at all long and soon after receiving our drinks we had our avocado on toast. 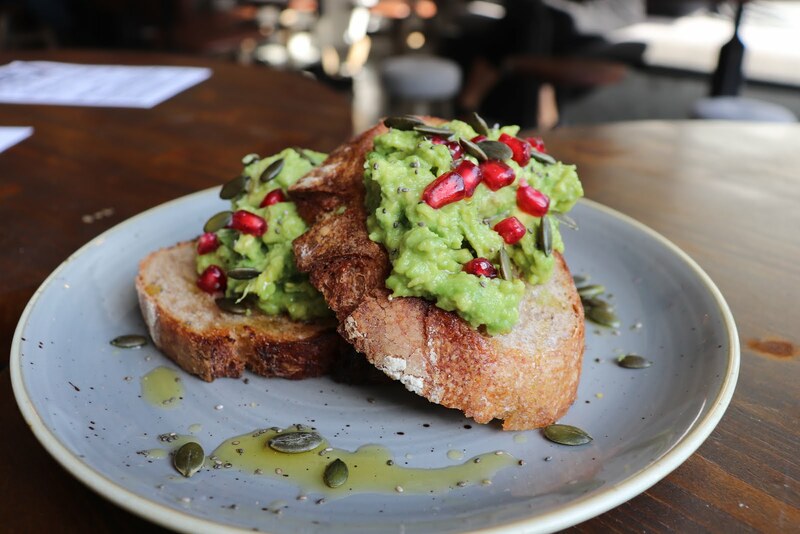 This however was not just your normal avocado on toast, this was served with a sprinkling of pomegranate, sunflower seeds and a drizzle of truffle oil. I've never had anything with truffle oil in it previously but this genuinely made me want to head out and buy a whole bottle of truffle oil for myself. This was hands down the best avocado toast I have ever had in a long time. This was so good that my friend who is an incredibly fussy eater and doesn't like avocados actually enjoyed this a lot. 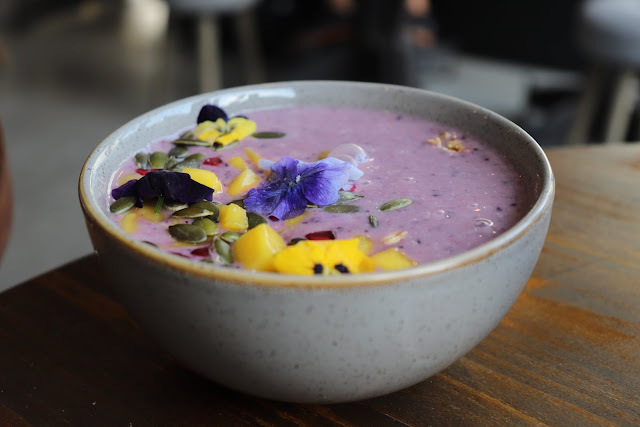 The second dish that we had was their Açai Smoothie bowl. This contained mango, edible flowers, blueberry, pumpkin seeds and granola. This easily became one of my favourite smoothie bowls. The smoothie was well blended, the mango was fresh and the whole ensemble was utterly delicious. More importantly though, this bowl was actually filling. I find it frustrating when I have an Açai bowl and still feel completely hungry after but thankfully this was not the case here. 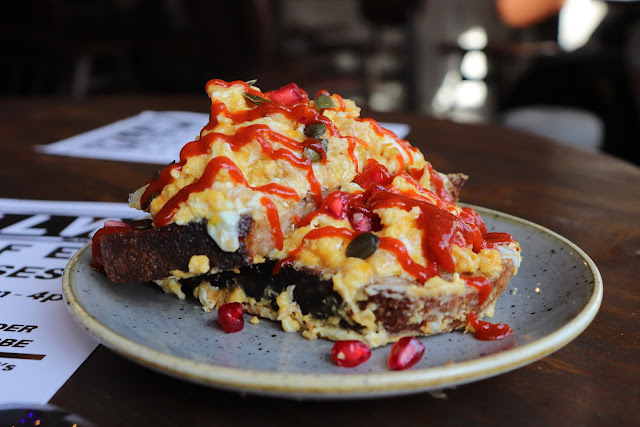 The last dish that was served was this triple cheese scrambled eggs with sriracha sauce, pumpkin seeds and pomegranate. Unfortunately, I did not eat this dish but my friend said that it she really enjoyed it but would have preferred to eat it without the sriracha sauce. Overall, we had a great time at YLLW's Sunday Sesh and definitely recommend you head down and try their avocado toast and smoothie bowls.